Ecosia is the search engine that plants trees. 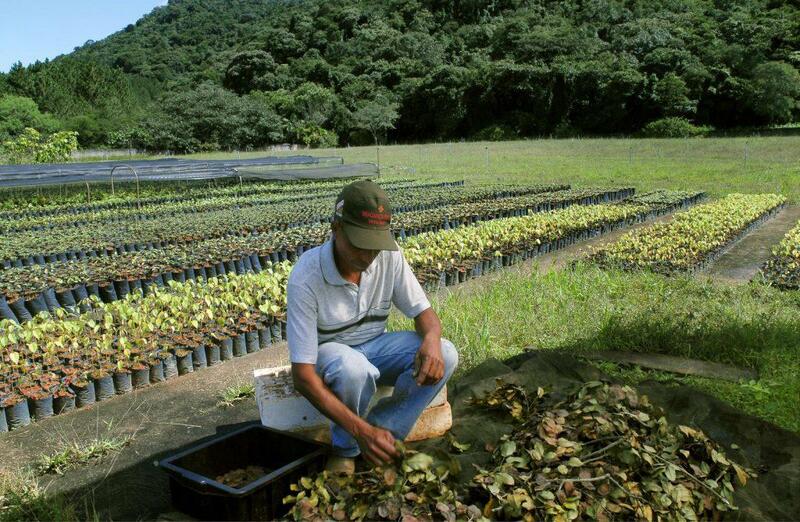 Ecosia invests at least 80% of its monthly surplus income in tree planting programs all over the world. For more information visit this page. Share Ecosia and show your friends how they can do good just by searching the web! You can install Ecosia as your default search engine to plant trees while you search the web. COOL CLIMATE Trees absorb CO2, which is one of the main drivers of climate change. Larger forests can even create clouds, which then reflect the sunlight and cool our planet. BIODIVERSITY Forests are the most diverse systems on land with millions of species out of which many have not even been discovered and analyzed yet. SOIL PROTECTION Trees protect the soil from erosion and they create productive and fertile land. If you cut down trees, you will very soon end up with a desert. CLEAN AIR Trees create oxygen, which we need to breathe. They also clean the air by absorbing pollutant gases and filtering out particulates. HAPPY PEOPLE Forests provide us with healthy food and lots of other products, which can be sustainably harvested. Worldwide the livelihood of 1.6 billion people depends on forests. WATER SECURITY Forests regulate the watercycles and prevent floods. They create moisturous microclimates and increase groundwater levels. They act like a “sponge” and therefore prevent droughts.